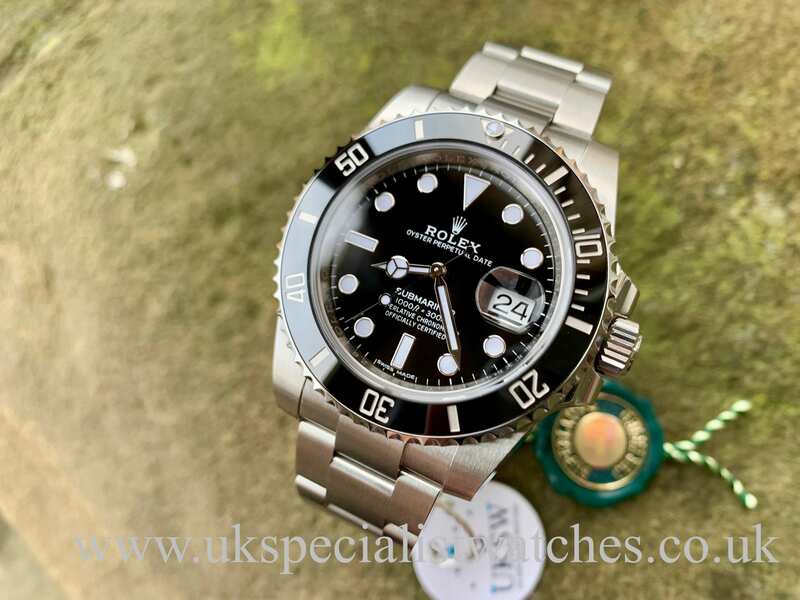 Rolex Submariner 116610LN. 40mm case stainless steel case. Jet black gloss dial with luminous hands and hour markers. 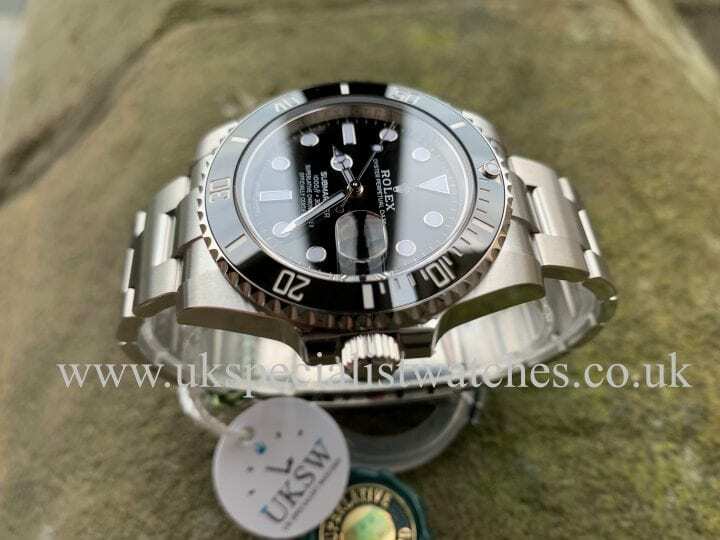 Black scratch-proof ceramic bezel. This model has now become one of Rolex’s most sought after sports models on the market today with virtually none available at Rolex ADs! 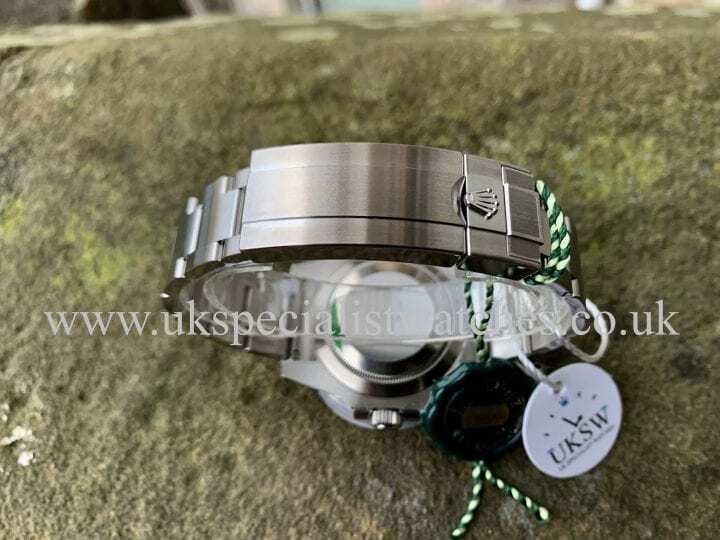 Our watch is totally UNWORN and still obtains case and bracelet stickers. 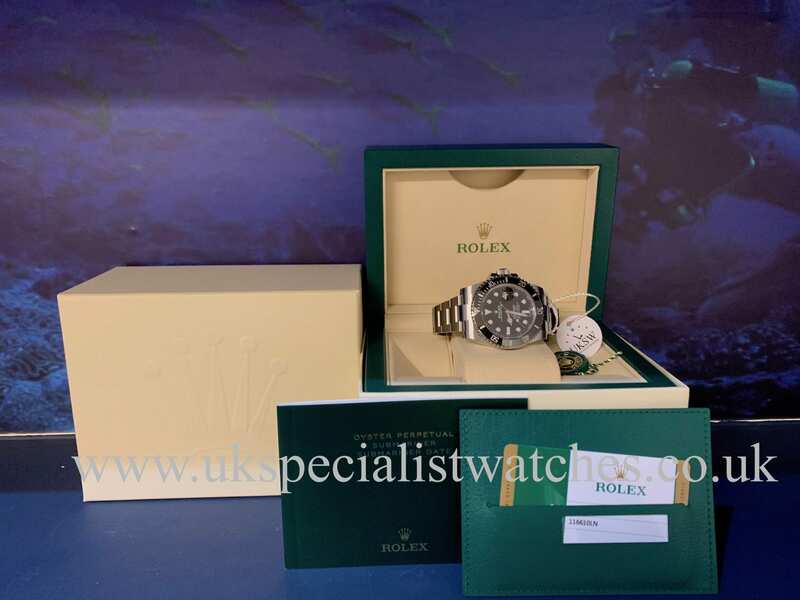 Comes complete with both boxes, green leather wallet, stamped warranty card and booklet. 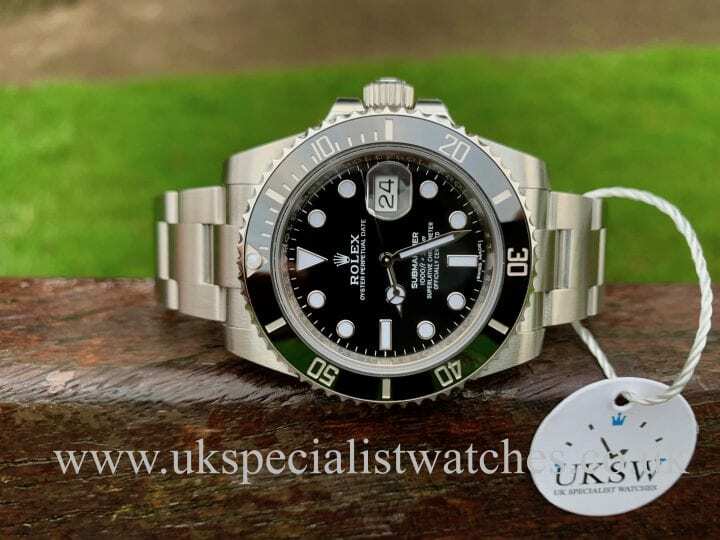 Supplied new in JANUARY 2019 and obtains the Rolex 5 year international warranty.